“Smoke detectors are a must in all homes, and carbon monoxide detectors are needed for any home with fuel-burning appliances such as a furnace, water heater, range, cooktop, or grill. Even those living in all-electric homes should install carbon monoxide detectors, because CO can seep into the house from an attached garage or if a backup generator is used too close to your living quarters during a power outage. You’ll need smoke detectors that detect flaming and smoldering fires for each bedroom, with at least one detector installed on each floor, including in a finished attic and in the basement. You should also have a carbon monoxide detector on each living level, in the basement, and near (not inside) an attached garage. Missing Batteries, Outdated Alarms Put U.S. Families at Risk. A recent Kidde survey revealed that 58% of Americans don’t know that batteries should be changed every six months; 61% have left their alarms without a working battery. A recent Kidde survey found one out of four older U.S. homes need updated fire safety equipment; that equals 17 million homes with outdated smoke alarms. 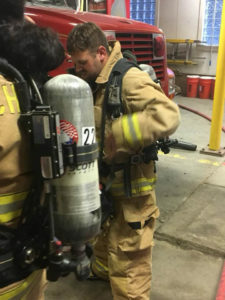 National fire industry organizations that support this technology include: the National Association of State Fire Marshals; Smoke Alarm Technology State Task Forces in Maryland, Ohio and California; Centers for Disease Control; and FEMA through its Assistance to Firefighter (AFG) grants. The following states have enacted 10-year legislation. Check the below Laws & Legislation Map for current information on your state. Smoke alarms save lives. Because no one can know when a fire will occur or what type of fire they will have in their home, virtually every recognized fire authority and safety expert – including the International Association of Fire Chiefs (IAFC), the National Fire Protection Association (NFPA), the U.S. Fire Administration (USFA), Consumer Product Safety Commission (CPSC) and Underwriters Laboratories (UL) – recommend having both photoelectric and ionization alarms for optimal protection against flaming and smoldering fires. Kidde supports and states this recommendation on its packaging, website and in its owner’s manuals. Kidde offers photoelectric and ionization smoke alarms as well as a dual-sensor alarm that combines both technologies in one unit, all of which meet the current UL standard for smoke alarms and can be purchased nationwide at retailers or online. Smoke alarms save lives. According to the National Fire Protection Association (NFPA), the number of U.S. home fire deaths has been cut by about half since the mid-1970’s, when smoke alarms first became widely available. A fire’s very nature makes it unpredictable. Because no one can know when a fire will occur or what type of fire they will have in their home, virtually every recognized fire authority and safety expert – including NFPA, the U.S. Fire Administration (USFA), Consumer Product Safety Commission (CPSC) and Underwriters Laboratories (UL) – recommend having both photoelectric and ionization alarms for optimal protection against flaming and smoldering fires. Kidde supports and states this recommendation on its packaging, website and in its owner’s manuals. Kidde offers photoelectric and ionization smoke alarms as well as a dual-sensor alarm that combines both technologies in one unit. All three can be found at home improvement stores and other retailers nationwide, or online. In addition, every Kidde smoke alarm – regardless of technology – must pass identical tests in order to meet the current smoke alarm performance standard, UL 217. Knowing the difference between alarm technologies can help consumers make an educated decision on alarm placement.However, regardless of technology, a home that does not have enough working smoke alarms is still underprotected. It is vital that families have working smoke alarms on each floor, outside of sleeping areas and inside each bedroom. Families must also practice an escape plan, so they know what to do when the alarm sounds.